Sony VPL-FX30 With an excellent 4,200 ANSI lumens output and XGA resolution, the VPL-FX30 is a versatile choice for a wide range of applications. 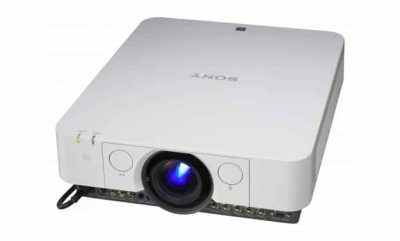 Able to project detailed, sharp images onto screens up to 600″ (diagonal) and with a comprehensive range of adjustments to help installers, this outstanding projector can slot into almost any type of venue. The Sony VPL-FX30 is the latest of Sony’s projectors to incorporate BrightEra technology. By massively increasing the LCD panel’s resistance to ultraviolet light, BrightEra improves reliability. At the same time, BrightEra shows its superiority over other LCD panels by allowing an increased aperture ratio, which results in a much brighter image, without the drawbacks that can affect other types of high-brightness systems. The Sony VPL-FX30 is a dependable tool for delivering professional presentations, every day, for years. Fully kitted-out with all the I/O you’ll need – including a network connection – it’s easy to connect and manage. Long lifespan, low cost-of-ownership, and great image quality. The Sony VPL-FX30 is the best reason yet to upgrade to a Sony.